As a Celebrant in Brisbane, I’ve had the honour of conducting many weddings in a range of Brisbane CBD Wedding venues. In many cases the meandering Brisbane River offers a wonderful backdrop. Here are some of my favourites. There are options to cater for a broad range of budgets. After you’ve selected your venue, it important to lock your Celebrant and Photographer. The gorgeous sub-tropical Gardens offers 10 beautiful outdoor sites that can be booked for wedding ceremonies. This can be an ideal location for a DYI wedding. Sites are booked through the Brisbane City Council. If you want someone look after it all for you, check out The Gardens Club. This is great venue for those seeking something a little different. Its combination of raw industrial and purpose-built design features has created an incredible space with limitless possibilities. Every wedding has exclusive use of the venue. 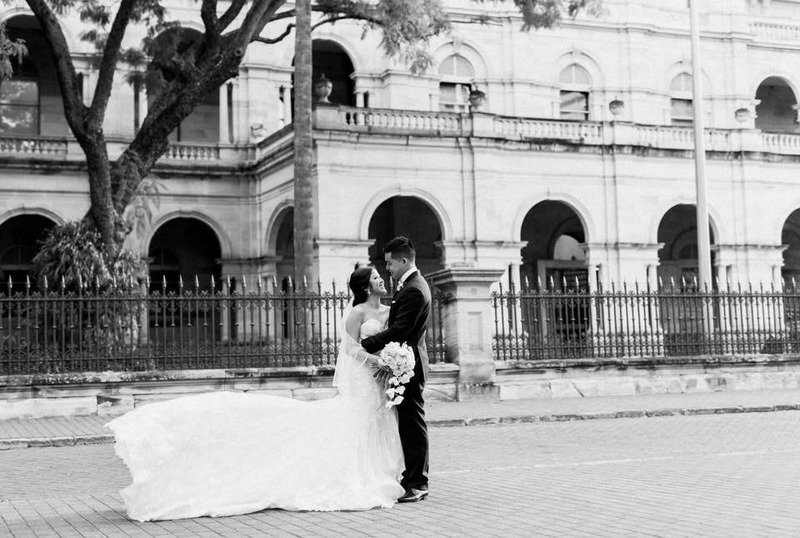 Old Government House provides an element of elegance and distinction for a truly special day. The romantic grandeur and vintage charm of Old Government House pairs is generally the location for the ceremony. The modern top-floor reception space Room Three Sixty, is modern and stylish. These venues can be booked together or separately. Riverlife can be a BYO wedding venue or all inclusive. It offers the perfect opportunity to combine your ceremony, reception and photos all in one stunning waterfront location. Generally, the ceremony is conducted in the surroundings of the Kangaroo Point Parklands. It is embraced by the sensational panoramic views of the city skyline and Brisbane River. Riverlife’s open plan outdoor marquees allow you to add personal touches to transform them into the wedding of your dreams. Roma Street Parkland is a romantic subtropical paradise hugging the northern side of Brisbane’s CBD. The parkland is a truly spectacular venue to hold your wedding or civil ceremony. It’s also extremely convenient – it’s located just a short walk from the bustling restaurants and reception venues in Brisbane’s CBD. 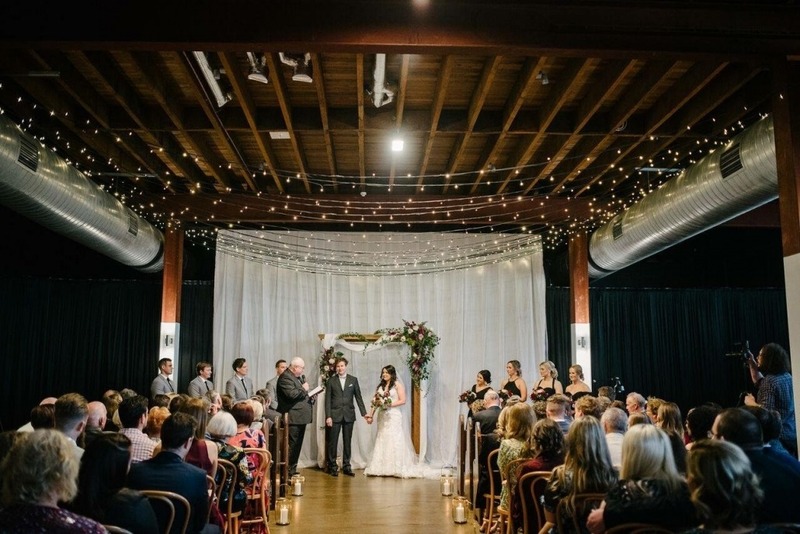 There are five unique wedding venues to choose from. 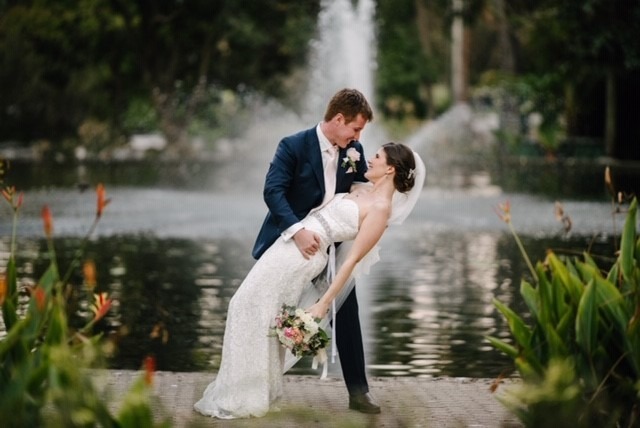 Stamford Plaza Brisbane hotel provides romantic elegance as a Brisbane riverside wedding location. Outdoor garden, riverside ceremonies coupled with top class reception options with accommodation make this an ideal all in one venue. The classic grand staircase and historical building nearby offer some great settings for photographs. It’s also adjacent to the City Botanic Gardens. Nestled amongst the natural beauty and sunshine of the City Botanic Gardens and only a short walk from the CBD, The Gardens Club is a truly unique event space. Your ceremony can be conducted in space within the Gardens adjacent to The Main House, Inner Deck and Terrace. It can host 80 guests seated and 150 cocktail style. Michael Janz, Brisbane Celebrant, shares 10 tips how to choose a Celebrant. There are many things to consider in choosing a celebrant. Some people go on first impressions or “gut feelings”. Others choose on price – the least or most expensive. You only want to get married once… ensure it’s what you want! Remember your celebration can’t be repeated! Apart from 5 sentences that must be stated to cover legal obligations, the rest is what you want. Remember it’s your ceremony not your celebrant’s. Here are 10 tips to help you decide the best celebrant for you. The best way to choose a Celebrant is to meet them. I offer a no obligation meeting to enable us to get to know each other. It’s important I understand your needs. You can make sure I am the right one for you. I am pleased to travel to you. This is all at no obligation/cost for you. Also, I supply a comprehensive wedding kit when we meet. Is the celebrant available on the date and time you have in mind? Does the celebrant conduct multiple ceremony a day? Do you want to the Celebrant being delayed at their previous ceremony? I only conduct 1 wedding per day. I prefer to focus on making your day the best it can possibly be. Does the celebrant show they’ll deliver a ceremony that meets you needs? How are they going to help to determine what you need? Does the celebrant listen to your needs, ideas and concerns? Is the celebrant keen to ensure they understand what you expect from them? It’s also important to understand what is required of you when you choose a Celebrant. I believe you are the “stars of the show”. I’m facilitating your show. Does the celebrant have a proven reputation? Take the time to read their reviews/testimonials. Check their website and sites that you can be confident of the validity of. Sometimes social media may not be truly reflective of quality. See if you can observe them performing a ceremony in a video. Easy Weddings has a rigorous checking process that ensures validity of reviews. Does the celebrant have a personality that you find attractive? Above all only you will know when you meet. Alternatively a phone discussion is a pretty good start in helping to choose a Celebrant. Choose a Celebrant that demonstrates professionalism. Does the celebrant have a professional website? Do they respond in a timely manner? Does the celebrant have appropriate professional equipment. Things such as a PA system, computer and internet facilities, appropriate clothing, a reliable car, signing table etc? I am a full-time Brisbane Celebrant who takes pride in my professional attributes. Responding to phone calls, texts and emails in a timely manner is very important to me. Is the celebrant a member of celebrant associations/networks? Has the celebrant done recent training in celebrancy or workshops held by celebrant associations? Choose a celebrant who is always developing. I believe in continually improving my approaches with working with couples. I never stop learning. How much experience does the celebrant have? Above all try to gauge whether they have spent years using the same old formula. In contrast are they focused on continually learning through experience. Choosing a Celebrant with 10 years experience doesn’t ensure quality. Is the celebrant within reasonable travelling distance to the venue? Do they charge for travel? Choosing a Celebrant who lives around the corner isn’t the best indicator. I’m a Celebrant living in Brisbane. I enjoy travelling to the Gold Coast, Tamborine, Ipswich, Lockyer Valley and Toowoomba. It’s my job. I’m happy to travel. unless I need to jump on a plane, I don’t charge extra for travel. I’m happy to fly. Is the celebrant charging a commensurate fee. Choose a Celebrant where the fee matches the work/service provide. Do they offer a flat fee or add on extras for travel and extra meetings? A well-presented table and chair for signing your marriage documentation if required. 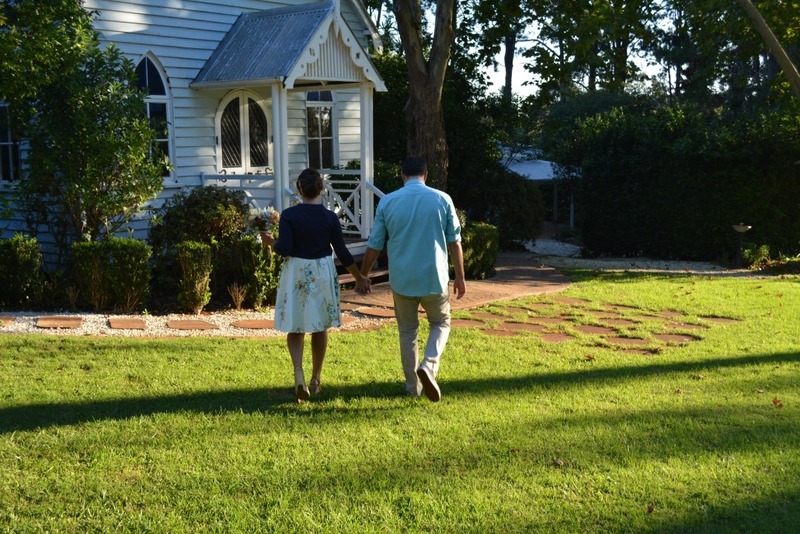 Tamborine wedding venues are so close to Brisbane and the Gold Coast. 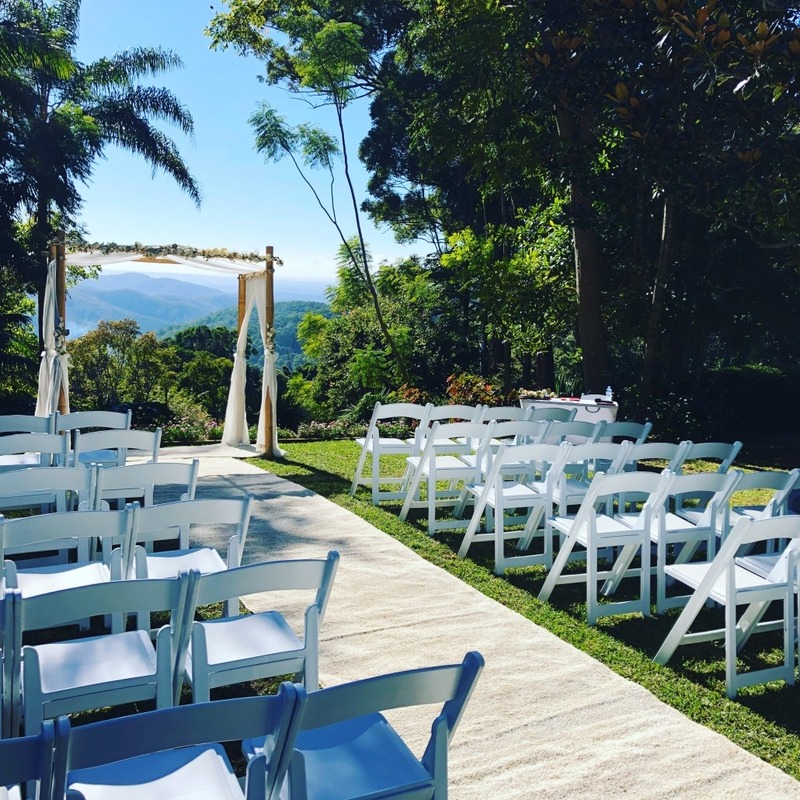 As a Marriage Celebrant, I really enjoy marrying couples in these delightful Mount Tamborine wedding venues. With all popular venues, don’t leave your decision too late or you’ll miss your preferred date. 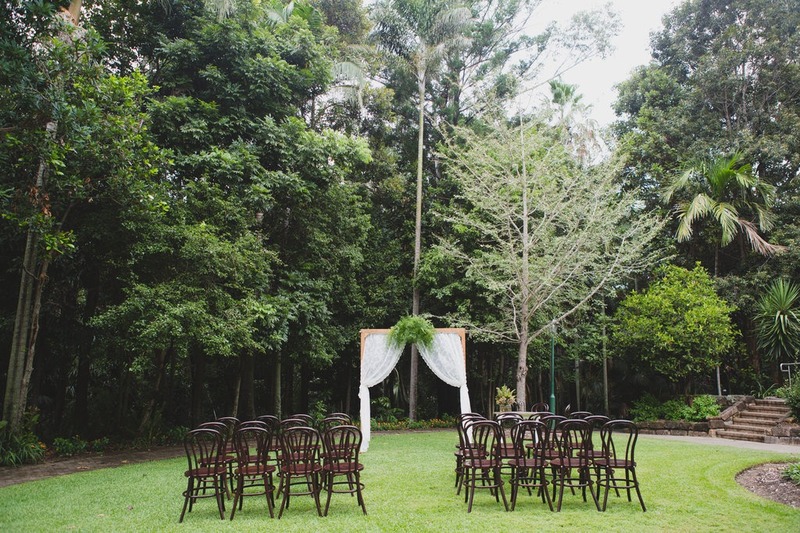 Cedar Creek Estate is a beautiful Tamborine venue for your wedding ceremony and reception. Choose a delightful wedding chapel adjacent to a lake or in the manicured gardens or Arbor for your wedding ceremony. There are plenty of perfect garden settings for you to say, “I do”. Several reception options are available for intimate celebrations through to up to 120 guests. You’ll be assisted by a highly experienced wedding coordinator. I’m always happy to help as your Tamborine Wedding Celebrant. St Bernards is an historic venue of Tamborine Mountain. Day visitors are impressed by the stunning views. However, the stunning garden wedding setting is a wonderful surprise. The hotel is set in beautiful rainforest gardens. 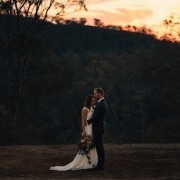 The breath-taking views of the hinterland and Gold Coast are a great backdrop for your wedding ceremony. Receptions can be held a few steps away from the Ceremony. Choose from either The Grand Marquee or Siganto Room. An experienced wedding coordinator will help your wedding day go off without a hitch. I’m always happy to help a no extra charge as your Tamborine Wedding Celebrant. St Bernards offers the Bride and bridal party a new luxurious lodge. Edges has 3 double rooms. What a great way to enjoy the night and your wedding night! Check out Edges. The Old Church offers both a charming Chapel as well as well-established gardens on a 2 acre property to celebrate your wedding day. Dating from the early 1900s, the Old Church seats 60 people. It has been kept in excellent condition. The fabulous, well established garden have several options for an outdoor ceremony. The adjacent Old Church Restaurant can seat 90 guests. 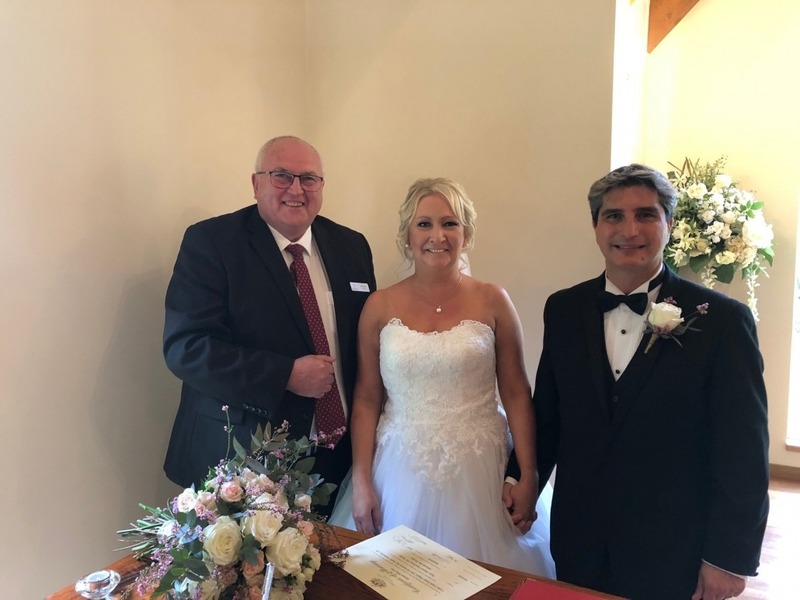 I had the pleasure attending a reception as a couple’s Tamborine Wedding Celebrant. The food, service and wines were fabulous. It is walking distance from several accommodation options. Mount Tamborine has limited public transport options. As a result its important to pre-plan transport for guest at Tamborine wedding venues. Pethers Rainforest Retreat is set in a superb rainforest setting. This is an ideal setting for elopement style or intimate weddings of up to 70 people. There are 10 individual and private tree houses. The balcony of a private treehouse can be an intimate setting for an elopement style wedding ceremony. It is gorgeous and private Tamborine wedding venue. The newly created Wedding Garden features a manicured lawn and wedding gazebo. It comes complete with red carpet and white fold out chairs. This area is enveloped by a rainforest. It is a perfect place for your wedding ceremony with a larger group of guests. Other ceremony options include the balcony of the Main Lodge or beside their pond and water fountain. The stunning restaurant can cater for a reception up to 70 people banquet style or up to 100 people cocktail style. The onsite Event Manager can assist you celebrate your wedding. Albert River Wines nestled at the base of Tamborine Mountain. It has multiple ceremony venues and 3 reception venues. Cedar Creek Lodges can host your ceremony, reception, wedding party and guest accommodation in one rainforest Tamborine wedding venue. Hampton Estate Wines(previously Heritage Wines) is surrounded by beauty of the landscape, mountain views,and the history of its majestic old building. 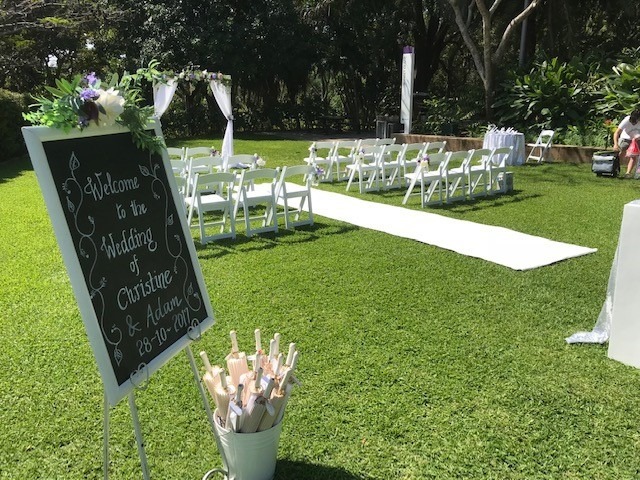 Tamborine Mountain Garden Weddings is home to magical gardens, comfortable cottage accommodation, stunning reception centres and friendly staff. There are many more terrific Mountain Wedding venues, feel free to share the details. 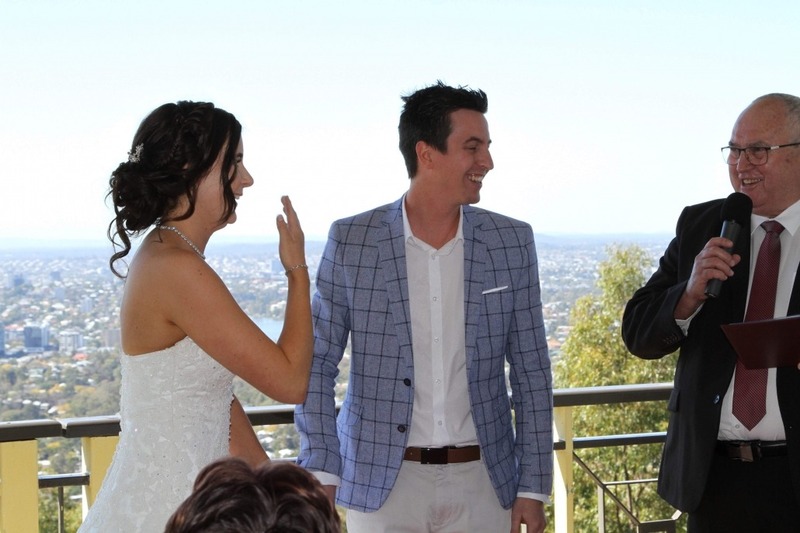 If you’re looking for a Tamborine Marriage Celebrant, contact me, Michael Janz Celebrant. 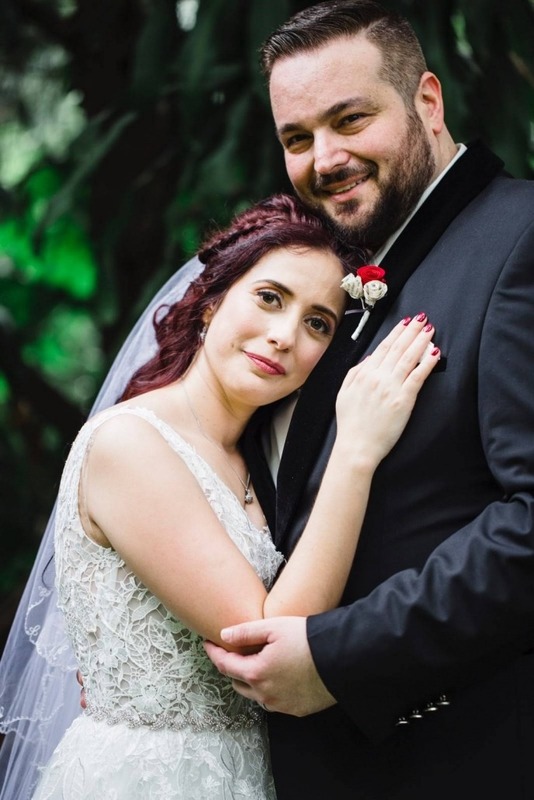 https://www.michaeljanzcelebrant.com.au/wp-content/uploads/2018/11/Nikki-and-Rob-pro-pic.jpg 1365 2048 Michael Janz https://www.michaeljanzcelebrant.com.au/wp-content/uploads/2018/09/MichaelJanzCelebrantLogo.png Michael Janz2018-11-02 22:37:572018-11-02 22:46:12Are you planning a video of your wedding?